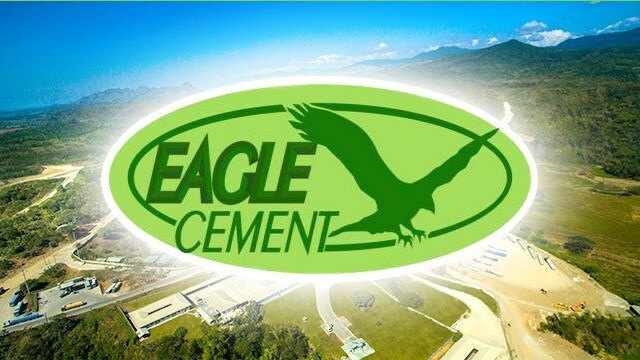 Eagle Cement Corp., the country’s biggest locally owned cement manufacturer by production volume, is selling its shares to the public for the first time from May 16 to 22. It plans to list at the Philippine Stock Exchange (PSE) on May 29. It is the country’s fourth biggest cement producer after multinational companies Holcim-Lafarge, CRH-Aboitiz and CEMEX. 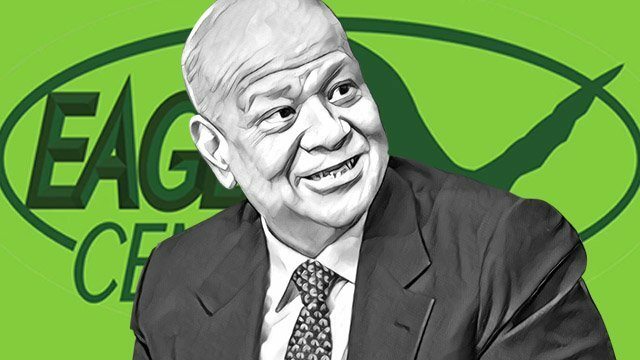 The company is owned by billionaire Ramon Ang, president and COO of diversified conglomerate San Miguel Corp., which is undertaking a number of major infrastructure projects. He is one of the Philippines' 14 dollar billionaires according to US-based magazine Forbes. The publication estimated his net worth at $1.4 billion as of March 2017, making him the 11th richest billionaire in the Philippines. Riding the construction boom of the country, Eagle Cement ended 2016 with revenue amounting to Php13.3 billion, a 20-percent increase from the year before, which the company attributes to increases in sales volume and sales price. Its net income experienced a similar 12-percent increase to Php4.1 billion in the same period. Demand for cement has surged in recent years on the back of rising private and public construction activity. The average growth rate in cement demand rose to 9.7 percent in the last five years to 2015, up from six percent in the previous five-year period from 2006 to 2010. In the aftermath of the Asian financial crisis, cement demand fell by an average of 0.6 percent a year from 2001 to 2005. Eagle Cement is rolling out its initial public offering (IPO) as bigger rivals such as Holcim and CEMEX go through a rough patch in the early part of the year. After reporting revenue growth last year, both companies recently disclosed lower gross sales in the first quarter of 2017. Holcim said revenue in the previous quarter fell by 12 percent to Php8.8 billion from a year ago while CEMEX said revenue declined 15 percent to Php5.4 billion from the same period last year. Holcim’s Philippine unit said that “cement demand in the country slightly declined from that of the same period last year, when pre-election spending on infrastructure was accelerated.” It also cited lower infrastructure spending and tighter competition in the industry as some of the factors for the drop in its revenue. CEMEX cited the same factors but added adverse weather conditions, especially in January and February. Amid softening cement demand hitting its bigger rivals, Eagle Cement remains optimistic. In fact, the company plans to use the proceeds from the IPO to partially fund the construction of a cement manufacturing plant in Cebu. Expected to be completed by 2020, the Cebu plant will produce between 1.5 million and two million tons of cement each year and will expand the company’s market reach to the Visayas and Mindanao. Eagle Cement currently operates the country’s largest integrated single plant in Bulacan. It produces about 5.1 million metric tons of cement a year, which is equivalent to 130 million bags, and distributes cement to several areas in Luzon. Established in 2010, Eagle Cement was one of the cement suppliers for some of San Miguel’s major infrastructure projects such as the NAIA Expressway project in Parañaque and Pasay as well as the Southern Tagalog Arterial Road or STAR Tollway in Batangas. It was also one of the suppliers of the Petron Bataan Refinery, the largest oil refinery in the Philippines. Its current projects include the NLEX-SLEX connector road that will link the Metro Manila Skyway to the C3 Road in Caloocan. Eagle Cement’s shares can be bought initially at Php15 apiece. The company will sell 500 million shares during the IPO, aiming to raise Php7.5 billion. The company also has an over-allotment option of 75 million shares, potentially adding Php1.1 billion worth of funds. The IPO is being overseen by China Bank Capital Corp., PNB Capital and Investment Corp. and SB Capital Investment Corp., who all serve as joint issue managers, joint lead underwriters and joint bookrunners of the offer. Interested investors are advised to read through the company’s preliminary prospectus for more information on the company and the offer, and to consult investment professionals on the risks of investing in stocks. Eagle Cement’s IPO marks the second for 2017. It follows the listing of home improvement store chain Wilcon Depot last March 31. Will Duterte’s 2nd Beijing Trip Lead to a Surge in Banana Exports to China?